Lake Farm County park is part of the Dane County park system, and is part of the Capital Springs Recreation Area. 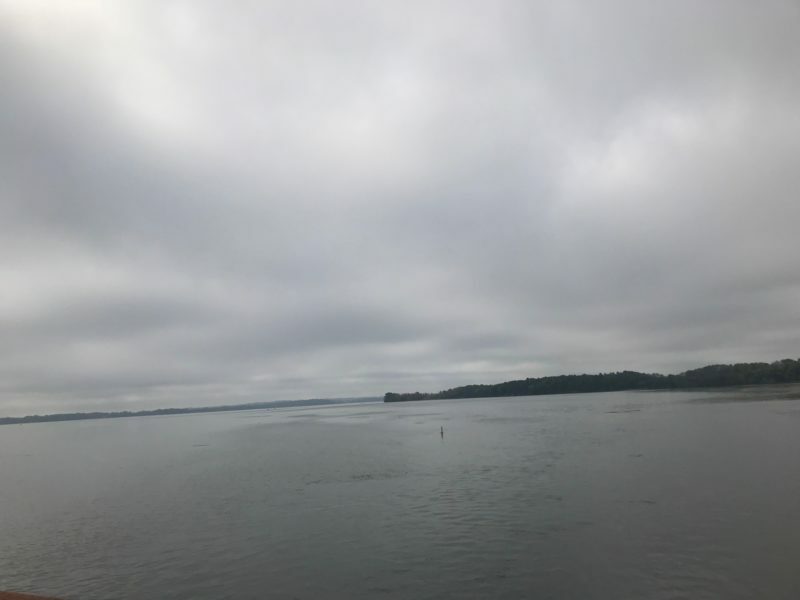 The park consists of 328 acres and features a campground, three shelter facilities, three playgrounds, a boat launch, group camping area, observation tower, wildlife pond and cross-country ski trails in addition to the beautiful hiking trails. 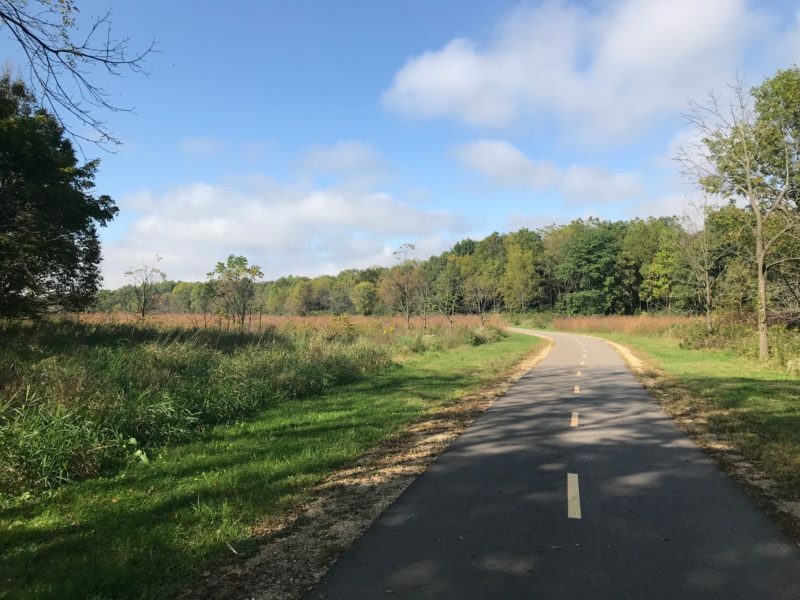 The park also connects with the Capital City State Trail and the Lower Yahara River trail, both are paved pedestrian/bicycle trails. 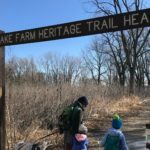 Lake Farm County park offers a different experience with each visit. You can take the hiking trails in the woods along beautiful Lake Waubesa and check out the fishing pier to see the lake and wildlife. 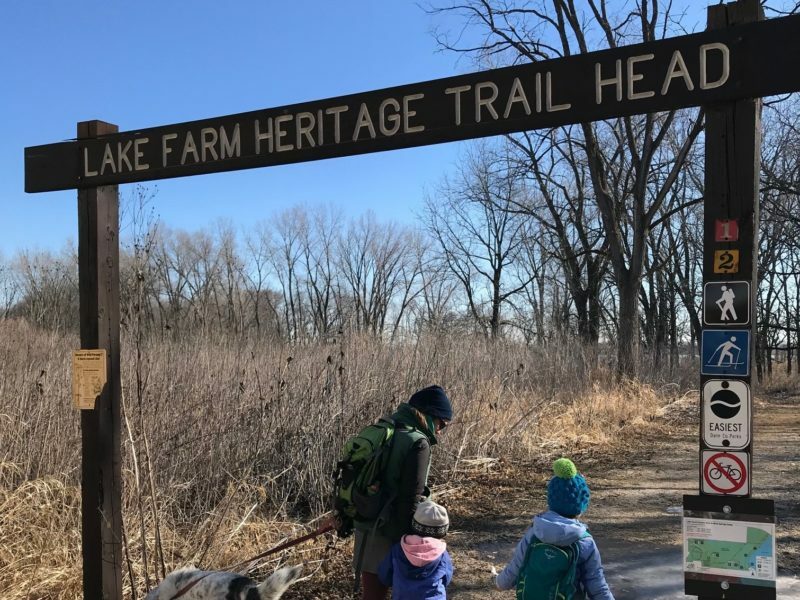 The Lower Yahara River and Capital City State trails offer stroller friendly hikes through the park. 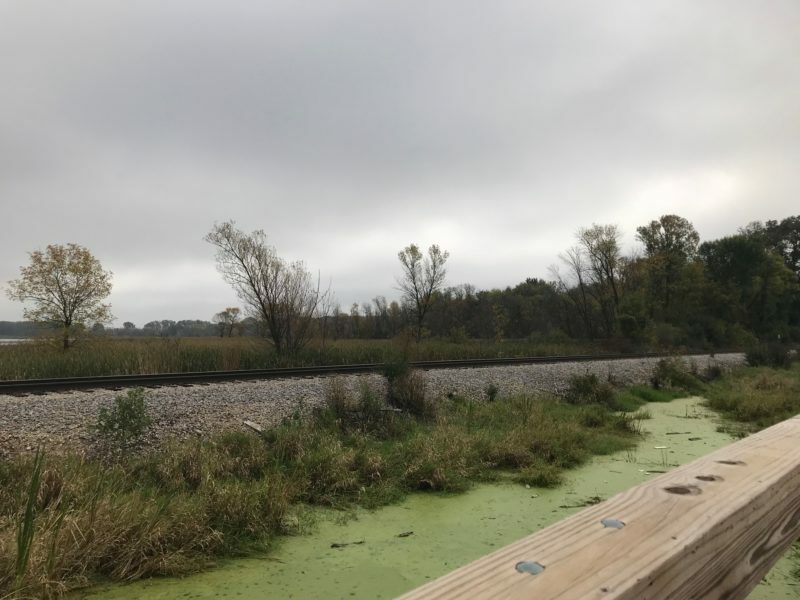 The Lower Yahara river boasts a boardwalk approximately 1 mile long with a fishing pier, across Lake Waubesa along old railroad tracks to the neighboring suburb of McFarland. There is a playground on the McFarland side of the boardwalk to break up the round trip across the boardwalk. There are three different playground at Lake Farm County park for playtime after your hike as well. 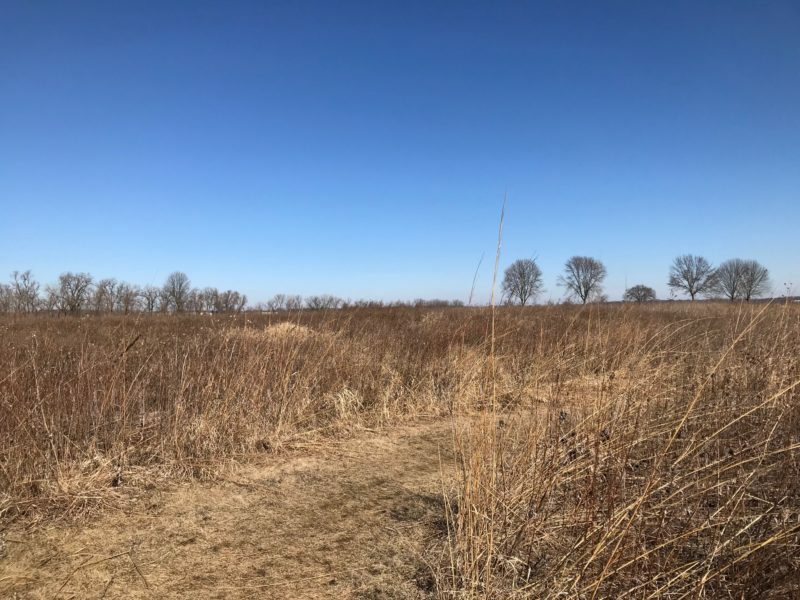 The park is home to the Lussier Family Heritage Center and trails within the park also connect to nearby Lewis Nine Springs E-Way, Capital Springs Centennial State Park and the Madison Metropolitan Sewerage District Wildlife Observation area. There is also a dog park and disc golf course nearby. 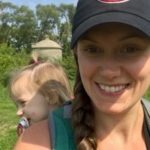 Trail offers a variety of hiking options, from dirt to paved. 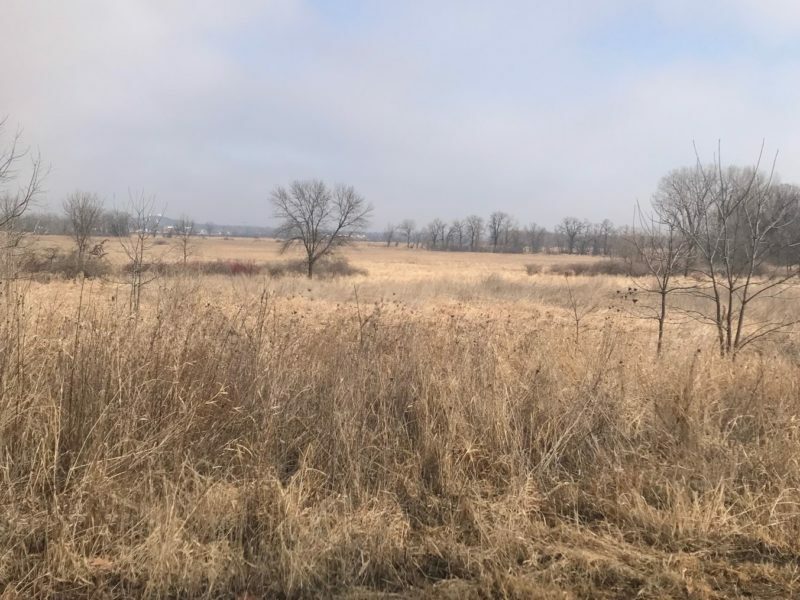 Lake Farm County park connects to several nearby state and city recreational areas. Boardwalk on the Lower Yahara River Trail as amazing views of Lake Waubesa. There are multiple parking lots with in Lake Farm County park near each Shelter. If meeting a group there its best to specify which shelter and parking lot to meet at.